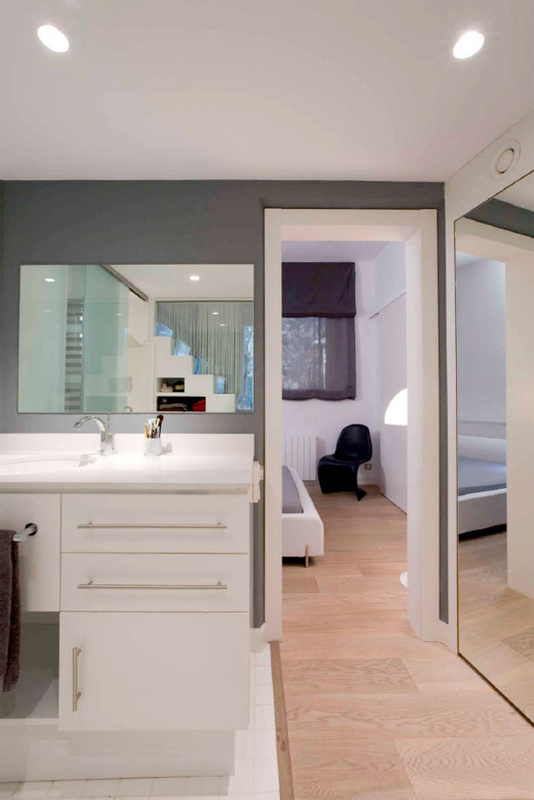 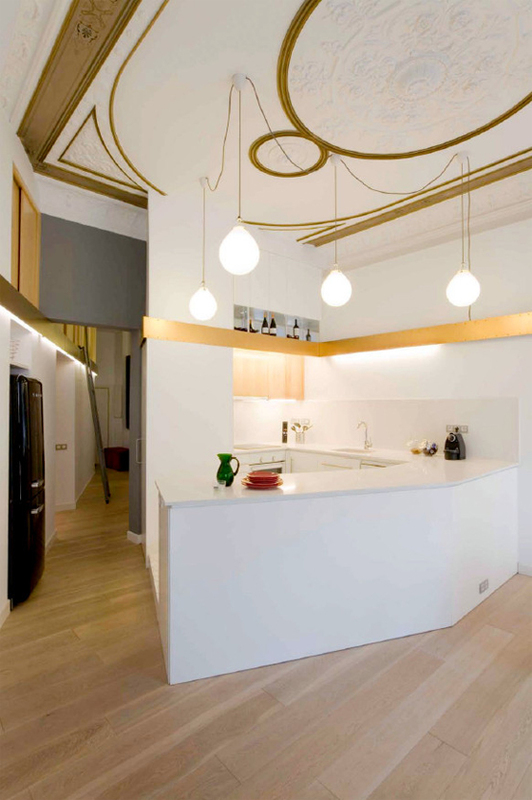 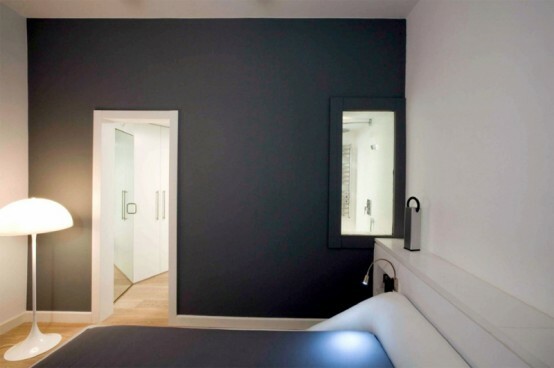 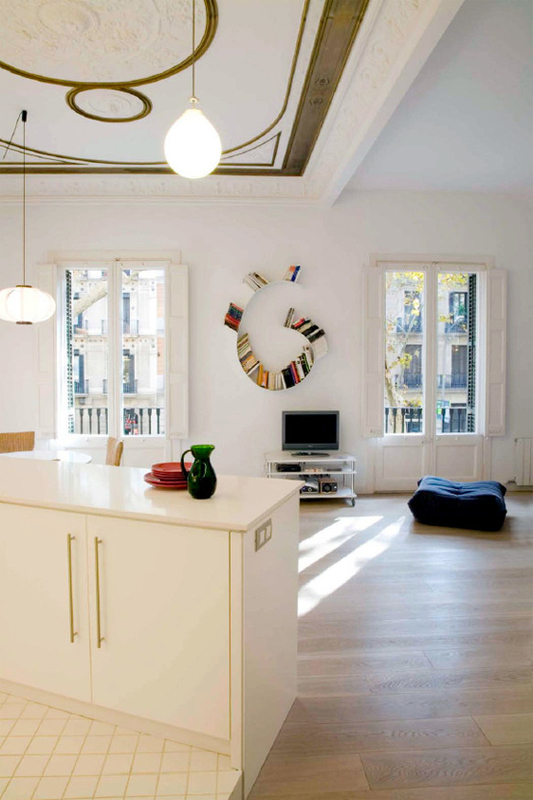 SANTPERE47 is a typical Barcelona’s flat of the end of the 19th century that was recently renovated by Miel Architects. 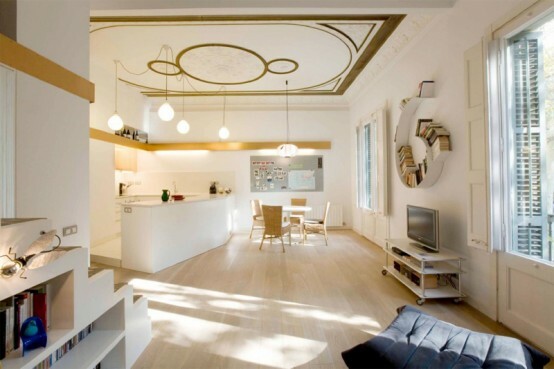 As any other flat should, it features very creative space saving storage solutions. 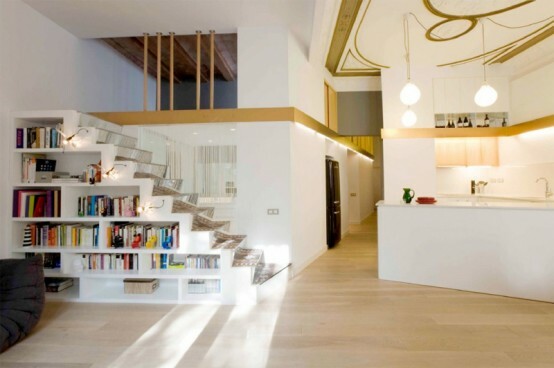 There are 2.20 meter high ceilings so the open plan living room features a staircase that leads mezzanines of storage and bottle racks. 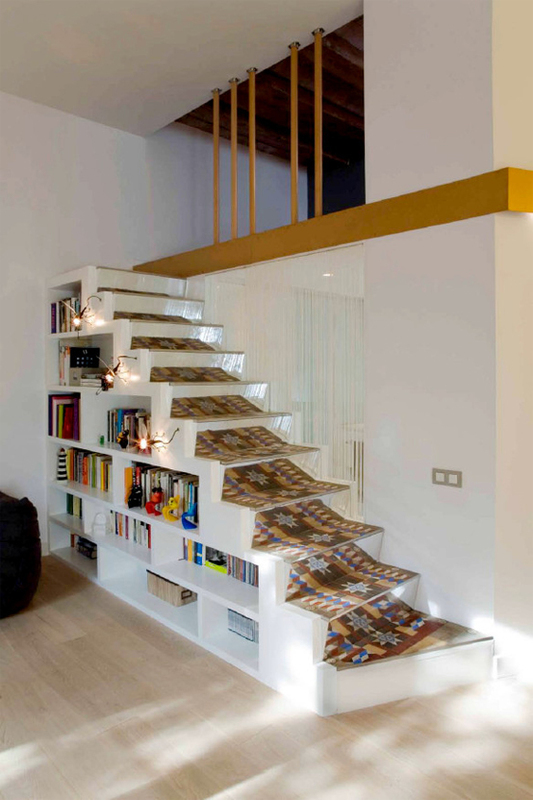 Besides, that staircase is also full of built-in storage for books and shoes. 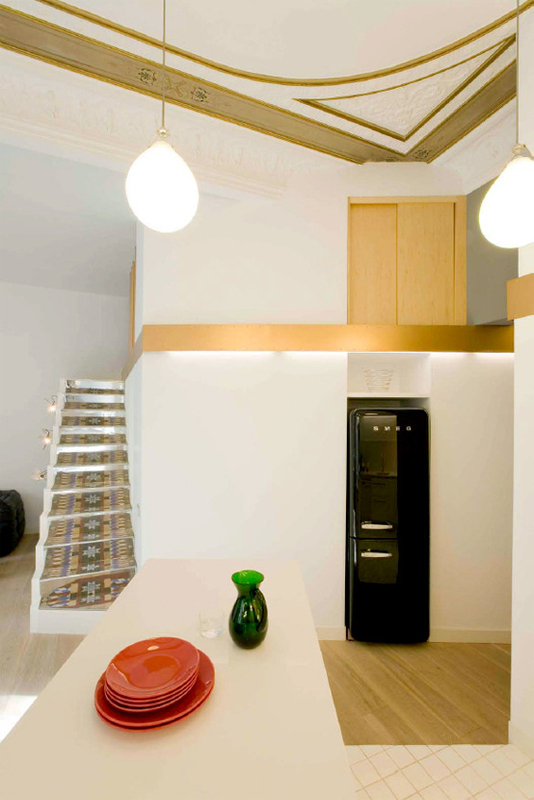 The flat also has a very interesting golden art craft ceiling in the dining room which looks like it’s covered with a carpet. 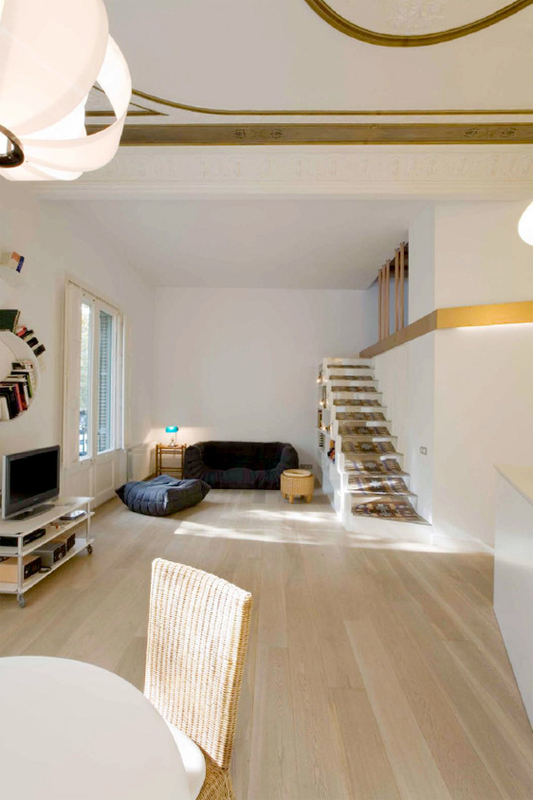 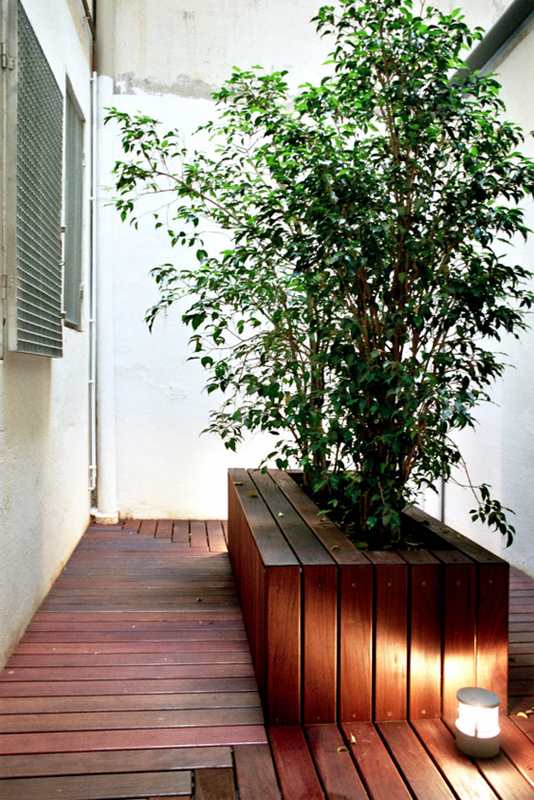 Wooden floors and furniture are other things that make the flat very cozy and livable.